In June of this year I purchased this Italian made (No Name) Pipe on a visit to the Gatlinburlier in Gatlinburg TN. My problem with the pipe is, simply put, every smoke in it has been bitter from start to finish. I've cleaned it with Everclear which hasn't helped any at all. I'm told that it is probably sap coming out from the heat. My question is, what they heck do I do about it? As of today the Pipe has been stored away never to be smoked again unless I can find a solution. Give it a coat of honey? Sweeten it up. This might help. Stuff it full of activated charcoal powder and bake it in the toaster oven at about 180F for about 4 hours or so. Pull the stem out first of course. If that doesn't do it, stuff it full of rock salt and everclear and let it sit overnight, then do the above charcoal bake again after it dries out. All good ideas, keep 'em coming! How many smokes do you have through it, and was it a coated bowl? Sometimes certain bowl coatings can taste realllly bad - particularly if the pipe was dip stained(as most basket pipes are) and the bowl coating is over top of the stain in the bowl. It could take a good 15-20 smokes before the bitterness starts to subside. Now that you mention it, the inside of the bowl was the same color as the outside, so I guess it was dip stained. I do know that the bowl wasn't carbon coated as a Grabow is. I don't know exactly how many smokes I have through it, but I've tried to smoke a bowl at least once a week since the purchase, but with several new pipes coming in lately it's just been sitting idle for a month or so. What's the stem made out of? Vulcanite and cheap plastic can add an off flavor in my short experience with them. If it's a dip stain issue, then slowroll's suggestions should take care of the problem. Any issue that remains after should easily be covered up with a good layer of cake. I might give the rock salt/alcohol treatment a go before I heated the pipe in the oven, as most stains used in pipe making are alcohol based. 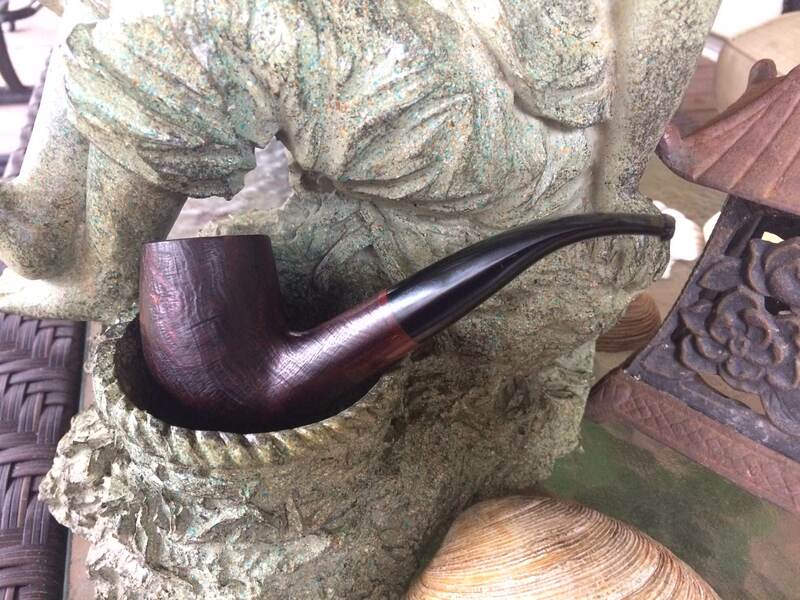 I've got a Savinelli Bing's Favorite that gave off a funky taste at first; it tasted just like stain smells. That said, it smoked like a charm. The forum codgers of the day advised me to just smoke the funk out of it, which I set to doing. I put a coupla bowls through that pipe every day for weeks. Now? Just as sweet as can be. Just throwin' in my two cents. Maybe sand the inside of the bowl and do a salt & alcohol treatment.